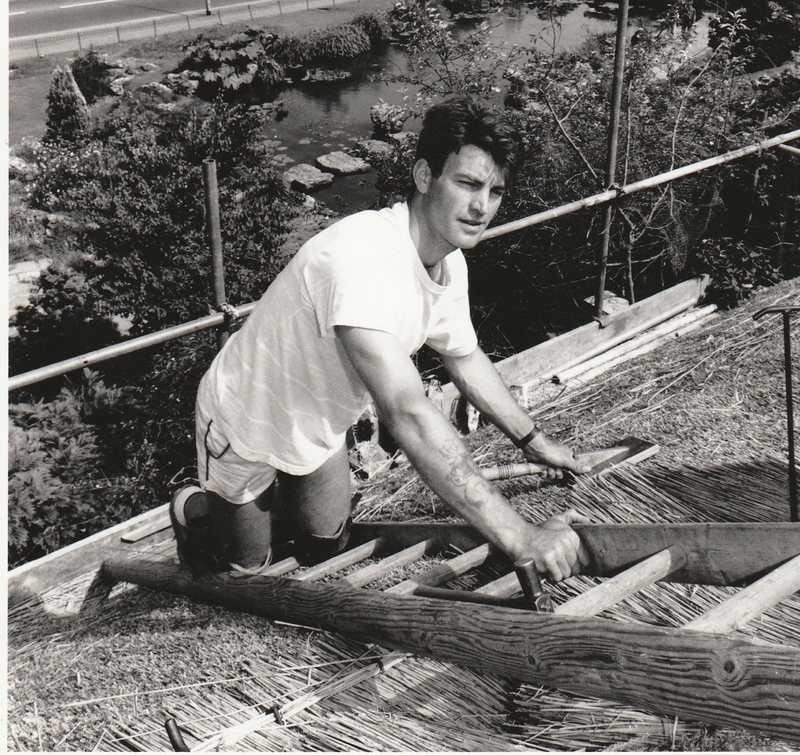 I started my thatching apprenticeship in 1982 with Norfolk Reed Thatchers Ltd (By appointment to Her Majesty Queen Elizabeth II Reed Thatchers), based in London and the Home counties. During this time, I met another team of Master Thatchers and later joined them to gain wider experience thatching all along the South coast from Devon to East Sussex. Learning from such a variety of craftsmen has given me a very strong set of skills. After spending six years gaining a wide range of skills and techniques in many styles of thatching I settled in West Sussex and was invited to join the Master Thatchers Association (Kent, Surrey, Sussex). Since having a family I have been based in West Sussex and my business has gone from strength to strength. I now work mainly within Sussex but still travel into Kent, Surrey and Hampshire. I have even worked as far afield as USA and Europe. Some of the projects I have worked on over the years include an award winning garden at the Chelsea Flower Show, Arundel Castle Earl’s Garden, Wildfowl & Wetlands Centre, Weald & Downland Open Air Museum, Chiltern Open Air Museum, Film sets for BBC Productions, Sussex Heritage Award winning cottage on the Glynde Estate, South of England Show at Ardingly and even a castle for the Landmark Trust. For many years I have been an active member of The National Society of Master Thatchers and regularly attend conferences, keeping up to date with current developments and techniques.